The most concerning issue in this Space Force discussion is that it doesn’t actually seem to be about space. For all of the talk about the establishment of a Space Force, much remains unclear and uncertain. The Trump administration continues to drive towards an end goal in which a Space Force in some form or fashion is established. What that entity looks like, does or fixes by its creation has yet to be answered. The most concerning issue in this Space Force discussion is that it doesn’t actually seem to be about space. The U.S. government is about to spend — and will spend — an enormous amount of energy and taxpayer dollars on the wrong issues: What do we do about China’s new killer satellite? Sorry, we’re too busy designing new logos. SpaceX’s future mega constellation seems to offer greater capabilities for our soldiers and Marines in the field. Maybe, but we really need to get these uniforms right. Russia’s satellites seem to be getting really close to ours, shouldn’t we do something? Probably, but we need to get the bases sorted out first. We fundamentally have not yet addressed the nuts and bolts of our issues in national security space. It is critical that before undertaking such a significant step — and believe me, setting up the sixth branch of the armed forces will be a major effort — we should identify our real problems in space. If we’re going to spend up to $4.5 billion (according to CNA) or upwards of $13 billion it is imperative we ask the right questions and reach sensible conclusions. There are four key areas that need closer examination: strategic priority setting, improved equipment and material acquisitions, budgetary support and realignment; and innovation and risk. Strategic priorities. At a strategic level, we need to appreciate that space is a warfighting domain. It has been for years, but we’ve not treated it that way. It was only recently that the Air Force was able to state this simple fact. Congress and the White House did receive the briefings from the Air Force, but did not see a sense of urgency. Yet, now, the Air Force is being lambasted for not being ready for a war in space. Simply stated, the United States did not keep our eye on the ball in orbit. Russia and China continue to make incredible strides in space and counterspace capabilities. Moscow regularly jams GPS signals at a tactical level and you’d better believe they can do it strategically if they want. Beijing launched a probe to the far side of the moon. This is considered an extremely difficult task. And it means China maintains capabilities that can put our most vital national security satellites in their crosshairs. Shouldn’t these be top concerns requiring immediate attention? Here, too, we need to be better about setting norms of behavior in space, establishing red lines internally, and communicating them to Russia and China externally. So far, we’ve been lucky to avoid a conflict in space or a conflict on earth which extended into space. We absolutely do not want to be in a position where we are communicating to our adversaries mid-conflict about what lines they shouldn’t cross or what the consequences of their actions may be. Improving acquisitions. The federal government’s equipment and material acquisition process is not just broken for the Air Force. It is a Department of Defense-wide problem, at near crisis level. We go too slow, end up over budget, and continue to reinvent the wheel. The government gets precisely what it asks for because they don’t know how to ask for anything else. The government is really good at pilot programs and rapid prototyping, but today turning those into programs of record is painfully difficult. This needs to be fixed today. As SpaceNews reported, CNA noted that for the new space branch to be successful, the Defense Department would have to change many “typical DoD practices” and acquisition processes also should be changed to limit the number of reviews and delegate decision authority as low as practicable. Further compounding the problem, the people who develop the requirements for weapons systems are separated from the people who budget and cost those systems. That’s madness. You would never survive in the business world if you operated that way. The Space Development Agency — an entity proposed to be centrally responsible for all space acquisitions— may solve this problem. At least that’s what some of its proponents hope. But as of late, it seems to be an organization in search of a mission. This is never a good sign for an organizational restructuring. Budgetary support and realignment. Secretary of the Air Force Heather Wilson is prioritizing space and asking for a necessary increase in funds. However, the impact of sequestration (imposed by the Obama Administration and Congress) on national security space is real and lasting. A new way of looking at innovation and risk. The Department of Defense has failed to keep up with the commercial world and is simply being outpaced because of unrelenting bureaucracy. The smart thing to do would be to buy commercial services, where appropriate, and innovate in-house for the distinguishing capabilities. Reusable rockets, small satellites and mega constellations are being developed, tested, and fielded today by the private sector. The U.S. government should take advantage of these capabilities now to truly move forward, not create more government and yet another new agency. Organizations like the Defense Advanced Research Projects Agency, the Defense Innovation Unit and the Space Rapid Capabilities Office are working to advance technology, but they need to be funded and integrated into a whole of government approach on space. Today’s approach to space is predicated on outdated models of operation. We are too risk-averse. Take mission assurance, for example. By treating every national security payload as exacting, every launch must achieve the so-called five-nines of perfection. In other words, it must have a 99.999 percent chance of success. With a $1 billion payload, it’d better work. But you do not need a $1 billion payload every time and therefore don’t need a $500 million launch. How about changing the calculus? Try smaller and more innovative payloads on smaller or reusable rockets and the cost of both comes down. After the 9/11 terrorist attacks, the greatest changes we as a country made to get on a war footing were not organizational in nature. They were policy decisions and budgetary allocations. 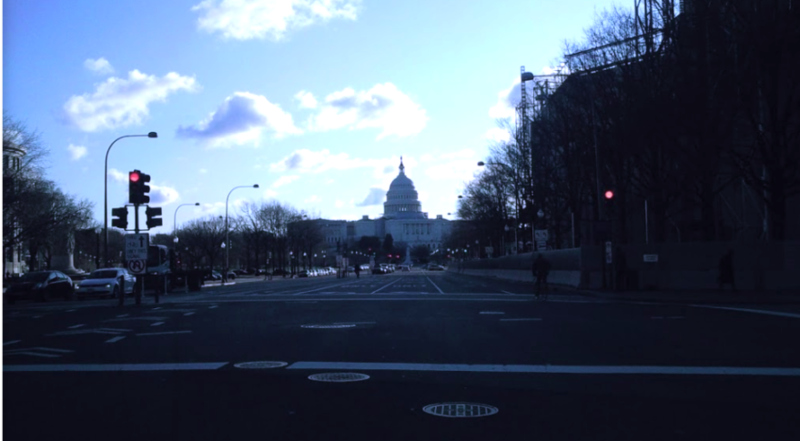 Bureaucracies take time to develop, mature and find their feet. But changing policy and freeing up dollars allowed the Department of Defense and the intelligence community to go fast, take the fight to the enemy and succeed. While you can argue about the mission set and where we are today, the reality is that it was policy and budget that made the real difference. That’s what we should be doing with the U.S. space strategy today. Change what we buy, how we buy, how many and how frequently we buy, and the culture of the Air Force itself. Those are real changes that will positively impact national security space. The rush to a military space service will be distracting to other urgent changes we must make in the way America defends herself in space. The Space Force is simply more bureaucracy at a time when we urgently need policy changes and forward-thinking leadership. 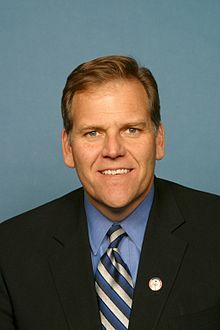 Mike Rogers is a former U.S. congressman who represented Michigan’s 8th District. He served as chairman of the House Permanent Select Committee on Intelligence from 2011 to 2015. He is the David Abshire Chair at the Center for the Study of the Presidency & Congress.